Make This Orange and Almond Poppy Seed Cake and Eat It Too! Get your just desserts in a good way with this tasty treat! Don’t let a healthy lifestyle get in the way of your social life! 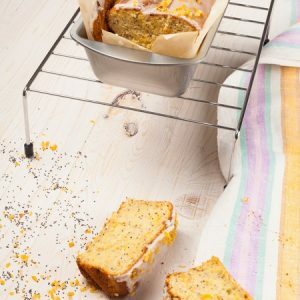 This delectable orange and poppy seed cake is free from added sugar, gluten and dairy making it the perfect sweet treat to take along to birthdays, coffee dates and any other social event. Make from almond flour, this cake is full of healthy fats and is naturally sweetened with oranges and honey for a delicately light taste isn’t full of empty calories! Wash the oranges thoroughly, pierce all over with a knife and then place in a large pot, covered with water. Simmer for 1 hour. Drain the water and cut oranges into quarters, discarding seeds and process in a blender until smooth. Grease an 8 inch cake tin with coconut oil. In a large bowl, combine the almond flour, poppy seeds and baking powder and set aside. In a separate large bowl, mix the eggs into the orange mixture and thoroughly mix through the vanilla extract and honey. Add the almond flour mixture to the orange mixture, stirring until smooth. Pour the cake batter into the prepared pan and bake for 1 hour or until cooked through. Once cooked, let the cake rest in the tin for 10 minutes and then turn out onto a rack. Serve warm or enjoy cold!